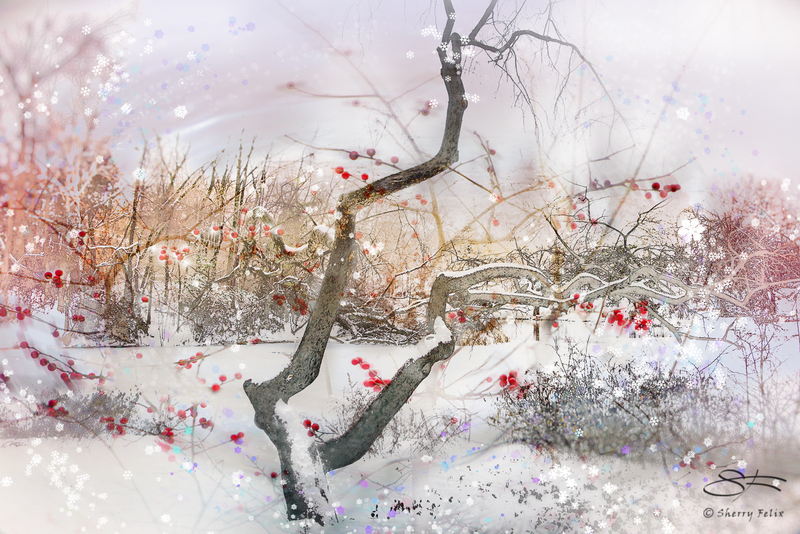 My version of a Christmas tree — a composite of my photos with a few snow flakes. Lovely! Best to you in the new year! Thank you Jet. No snow here yet, so I used my old images. Really liked this Zen-like composite, Sherry. Sending the very best to you, too, for a warm and peaceful new year. Very nice! Best wishes for the holidays. You too Sherry! What a fantastic composite… love it!